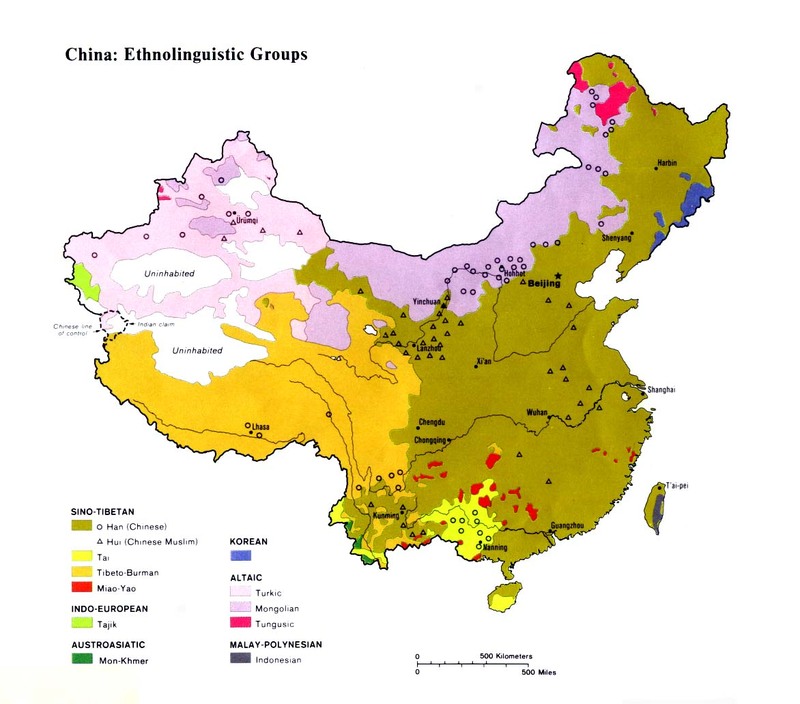 Despite being acknowledged as a separate language by the Chinese, the Ya were combined with other related groups to form the official Dai nationality. The Ya are also known locally as the Cung and Tai Ya. Subgroups of the Ya include the Tai Sai and Tai Ka. The Ya were originally part of the great Tai group. Today, after centuries of migration, as many as 20 million people scattered across southern China still belong to Tai related groups - including members of the Zhuang, Bouyei, Shui, and Dai nationalities. Other Tai groups have migrated as far west as northeast India, and as far east as China's Hainan Island and Vietnam. The practice of tattooing has long held a prominent place in Ya culture. Legend has it that a long time ago there was no sun in the sky. Instead, a big pearl on a pipal tree gave light to the people. One day a demon stole the pearl. Wannapa, a Tai hero, started a long expedition to the edge of hell to recover it. On his way he recorded line maps on his body using sap, to enable him to find his way back. However, he found that after a few days the lines faded from the rain and sweat so he courageously bore the pain of pricking thorns into his skin to make the maps sustainable. Chinese records from the Tang Dynasty (AD 618-907) nickname the Tai "those with embroidered feet" in reference to their custom of tattooing. The Ya are polytheists and animists. "The Buddhist Tai call all these illiterate Tai, Tai Ya. They say that the Lord Buddha once tried to teach these Tai, but found them so 'thick' that he desisted," recorded a researcher in the 1920s. Each year before the Ya plant their seeds, offerings are made to the spirit of the field and the goddess of rice. Few Ya today have ever heard of Christ. Little has advanced in regard to Christianity among the Ya since one missionary who worked in southern China in the 1920s wrote, "Most of the tribes people are very ignorant and many have no written language of their own. Throughout that part of the province which is inhabited by tribal people, little Christian work has yet been done. Many areas have never even been explored." Scripture Prayers for the Tai Ya in China.